Celebrate the shared bounty of life in the form of the freshest food you’ll ever taste. We pair the gift of wine with delicious food in a stunning setting, ideal for savoring the flavors of the Valley—and the painstaking efforts of a life’s work by many a world-class chef. Relish the freshest ingredients year round to complement the wine you love, and with every change of season, a roster of different delicacies to discover. Please let us know what favorite and seasonal foods tickle your palette, and we’ll do everything in our power to bring them from farm to table. As we’ve partaken in these feasts for going on a quarter of a century, we are more than ready to share the heavenly delights with you. One of the premier wine regions the world over, Napa Valley features thousands of acres of lush rolling green—the ideal condition for grapes to transform into celebrated wines. Ah, the nectar of the Gods! From opulently lush cabernet to richly robust zinfandel to fruity, full-bodied chardonnay, these varietals await your seasoned senses. As we closely collaborate with you to create the idyllic itinerary, we’ll help you to unearth your favorite types of wine. Directing you to the perfect places to savor them—even those not often suggested or hard-to-find - you will experience the journey of grapes as they transform into impressive vinos. With the many friends we’ve made over the years, we make sure that one of them pours you a taste while sharing stories with you so you can develop new friendships and discover the social elements of the valley. The Valley awakens your senses with vineyard vistas, charming towns, and authentic activities. After full and richly rendered days of sightseeing and wine tasting, we will lead you to slumber nirvana. 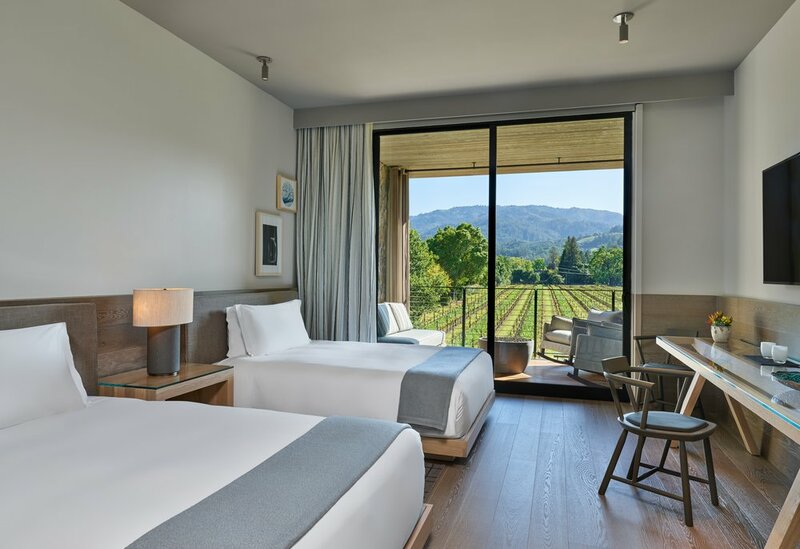 Napa Valley offers lodging considerations that address just about any desire. From cozy and quaint to spa-centric, we’ll surpass your expectation with a perfect temporary home away from your home. To make the most of your experience, we naturally consider location. In doing so, you’ll see the best of everything in the smartest, most time-efficient manner. Next, we want your amenities dream list—those must-haves and the ones you’ve only fantasized about! From on-premise dining to breakfast in bed, spa treatments, hot springs and more. And finally, the type of accommodations. Consider a romantic evening with fireplace, warm blanket, bubble bath, and candles to an in-room movie date and couple’s massage, or anything else that sends you into sensory satisfaction—also known as bliss! However your journey unfolds, let our expertise help make your Napa Experience indelible.